It’s been a bad few weeks for Apple and security, but thankfully, as each new bug and security flaw is exposed, the company has largely done a decent job of getting ahead of things and launching a fix. 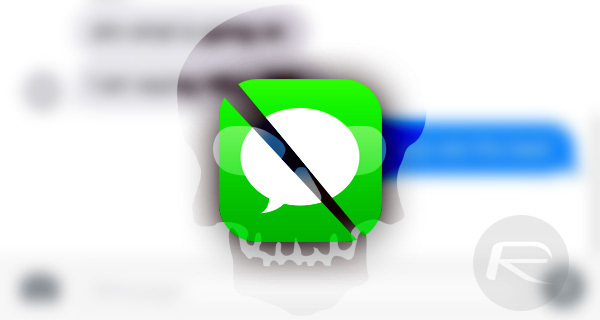 One of the most recent issues to come to light is the iOS and macOS bug that saw Messages crashing just by receiving a text. The bug is now confirmed as fixed in a current iOS beta, and on top of that, Apple has also told Buzzfeed that we can expect the fix to be rolled out to public as soon as next week. The bug, known as chaiOS, was originally discovered by Abraham Masri and allows for the crashing of Messages, resprings, and even battery issues on recent versions of both iOS and macOS. We told you recently that one developer has confirmed that the bug is fixed in iOS 11.2.5 beta 6, but now we have confirmation that the same fix will be arriving via public channels as soon as next week. Apple confirmed a fix is coming in a software update next week. It’s unclear what release that fix will be part of. With iOS 11.2.2 the most recent version of iOS available to the public and iOS 11.2.5 the one currently being tested by developers, it’s possible that an interim iOS 11.2.3 or 11.2.4 could arrive with this fix in place next week. Or Apple could just release final version of iOS 11.2.5 next week. There will, of course, also be a fix in the works for macOS. This is the latest in a recent string of issues that have befallen iOS and macOS, although the most prominent are more of Intel’s doing than Apple itself. Still, with the onus on Apple to fix the issue, that does mean that the iOS and macOS software teams will likely have been working overtime over the past few weeks.